HabCam 5 aboard the F.V. Jersey Cape at sunset. One of the two sidescan transducers is visible beneath the di-hedral fin, mounted to the port-side frame. Imaging system calibration in the WHOI Gallager lab submergence tank. 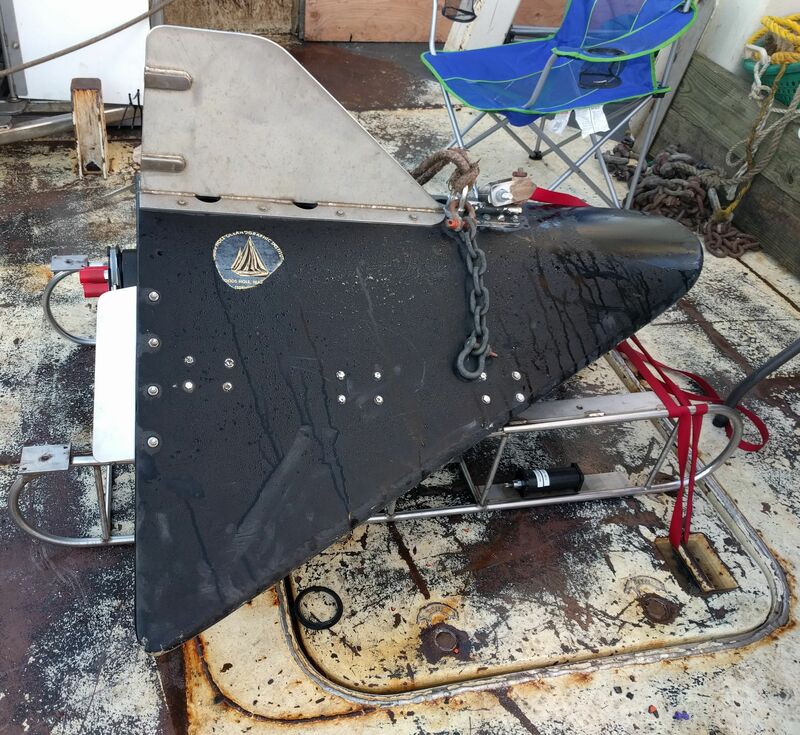 The HabCam V5 vehicle is a 4′ wide modified dihedral v-fin we call the “HabCam v-fin”. 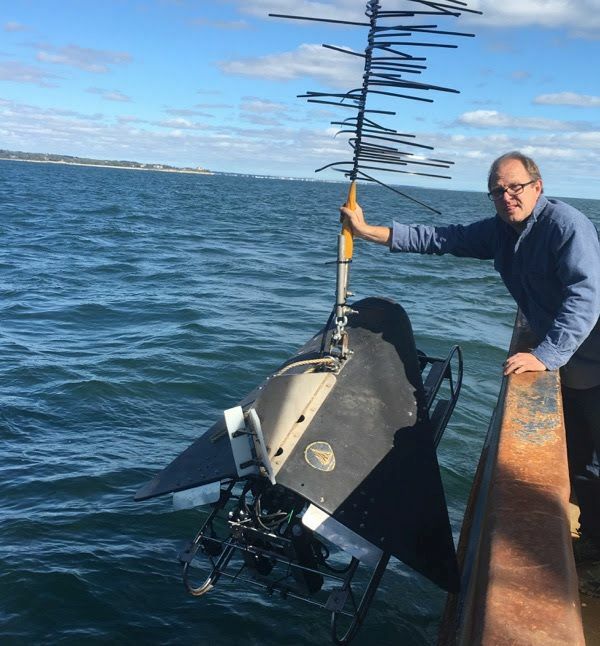 It was designed to be lighter, more compact, and more maneuverable than prior vehicle iterations, which allows it to be used on many small vessels of opportunity. 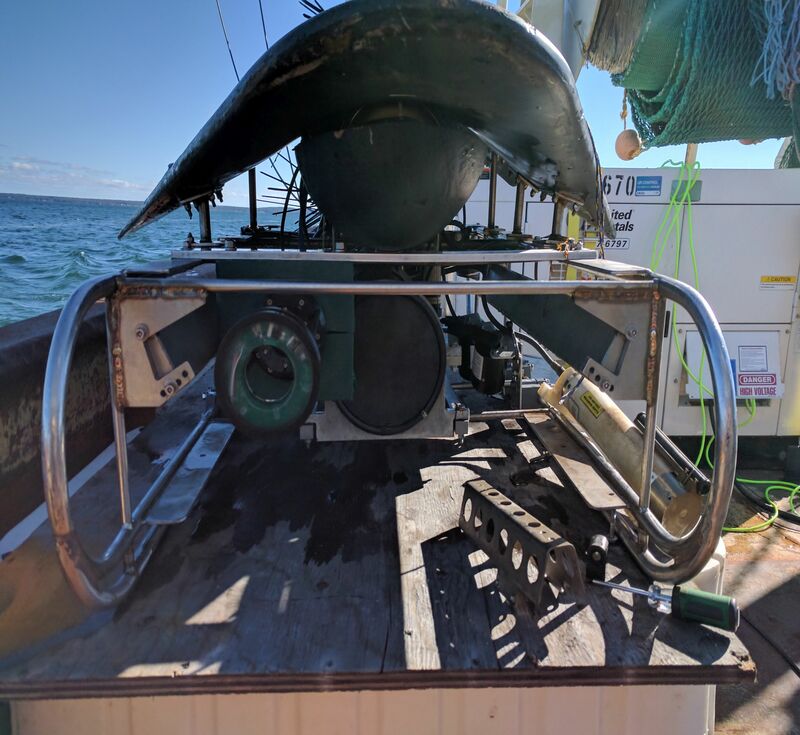 It is towed on a smaller fiber optic cable (0.32”) and can be used for scallop, substrate, habitat and fishing gear assessments. A slip ring is used at the winch. Unlike its predecessors, the cable terminates at the vehicle into a splice that provides a connection to power (120 VAC) and optical communications without the need for an oil-filled J-box. The HabCam V5 is equipped with stereo cameras and sidescan acoustics. 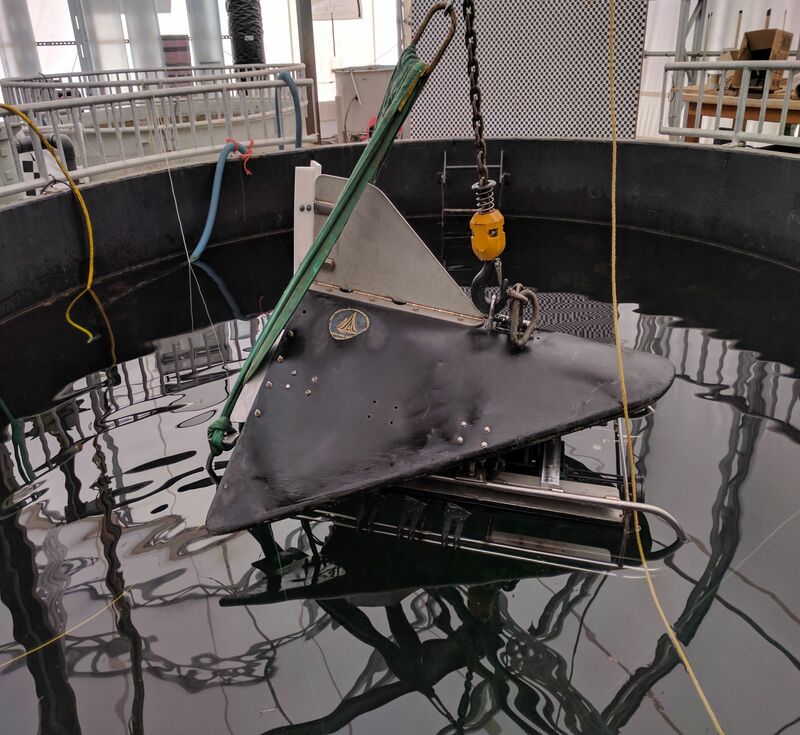 A Teledyne C3D bathymetric imaging sidescan system (200 kHz) is built into frame. 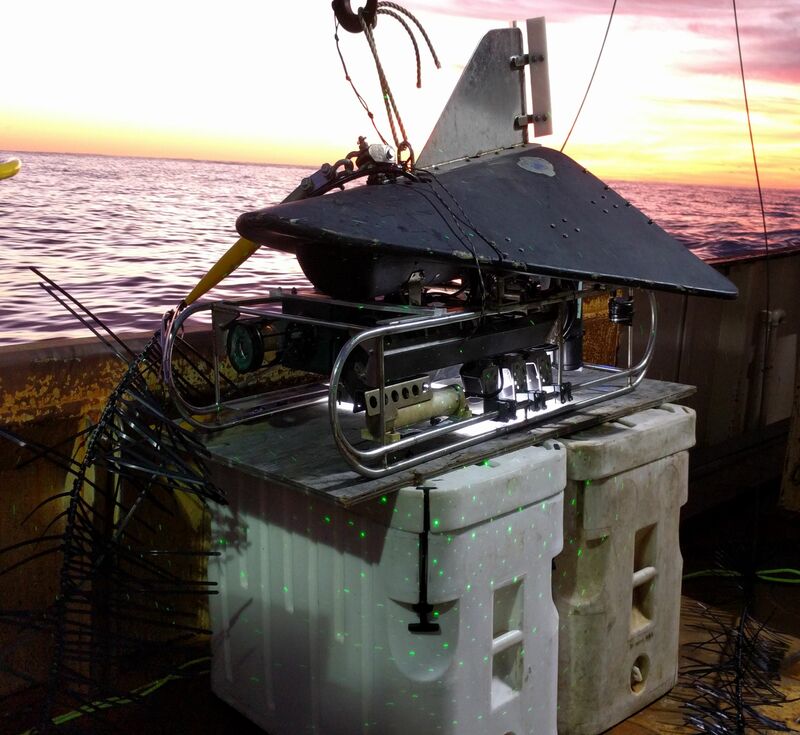 The vehicle carries the stereo cameras, a CTD, a fluorometer, turbidity sensor, sidescan acoustics, and a plankton imaging system (CPICS). Subsea, sensors and camera signals are packetized into a gigabit Ethernet signal and transmitted to the surface. A bi-directional Ethernet LAN is established using a Optolink optical transceiver over a single fiber using five bi-directional wavelengths. 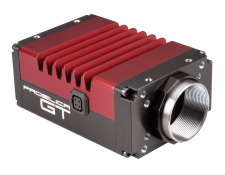 A stereo-pair of Prosilica GigE machine vision cameras transmits their images to the surface at a rate of 6-10 per second, where they are combined into a single stereo pair and stored on a RAID array. The six LED strobes are triggered by the camera signal to provide 10 microsecond exposures for each image. A pair of 12mm Nikon 1” C-mount lenses completes the optical system. Most additional sensors are based on a serial RS-232 interface to 2, 4 port serial to Ethernet converters (MOXA Nport 5410). 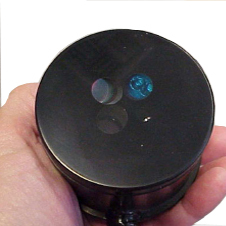 Each sensor is supplied with an independent port or IP address thereby simplifying logging and control. We wrote custom Windows software for displaying and logging data from all of the sensors on HabCam. 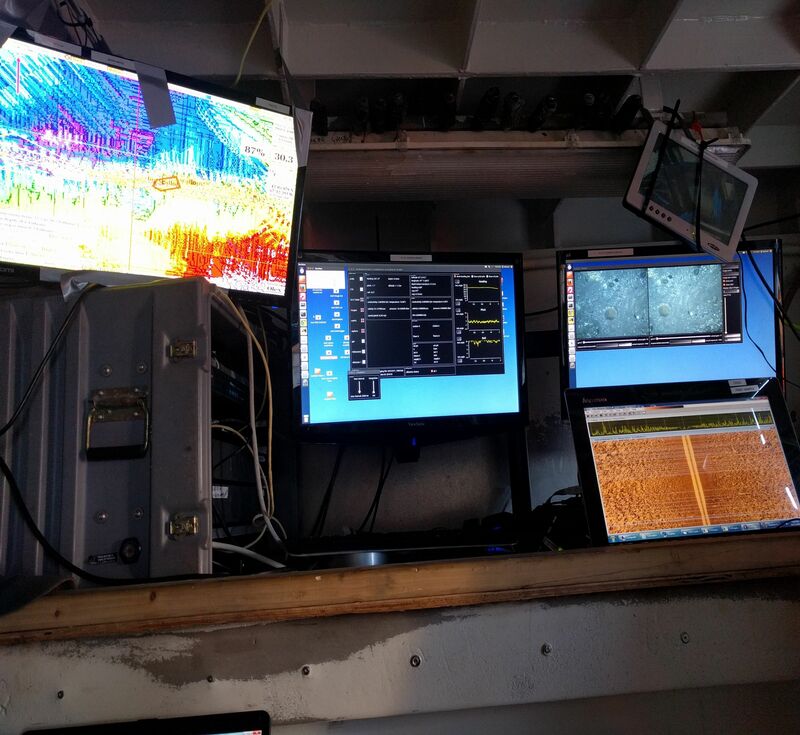 Several Ethernet based sensors including the CPICS and sidescan acoustics are networked into the subsea LAN. A topside LAN provides routing data between various pieces of hardware and software that need access to it. 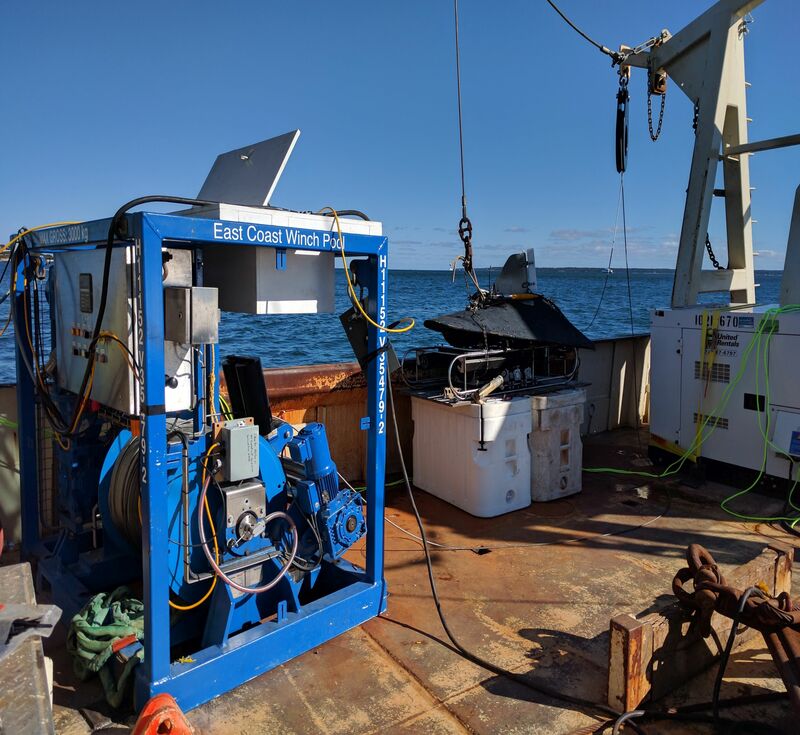 For example, data from the CTD and the vessel-mounted fathometer are transmitted to a “flying” display, allowing a winch operator to control the altitude of the vehicle off the seafloor. We typically fly the vehicle at 2-3m off bottom, but under rare conditions when turbidity is severe, we fly at an altitude of 1m. 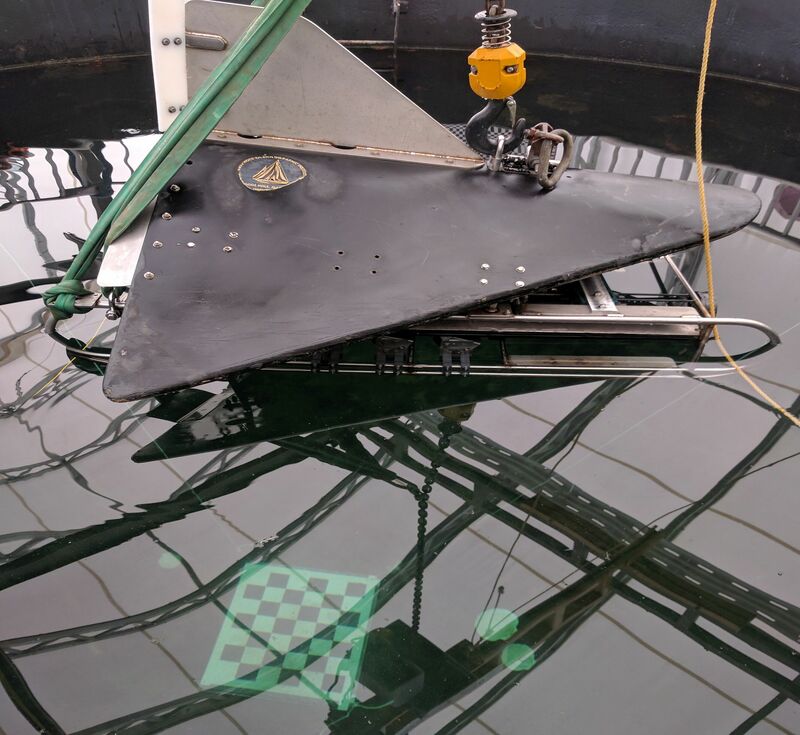 The cameras are calibrated in a deep tank for altitudes between 0.8 and 4m. 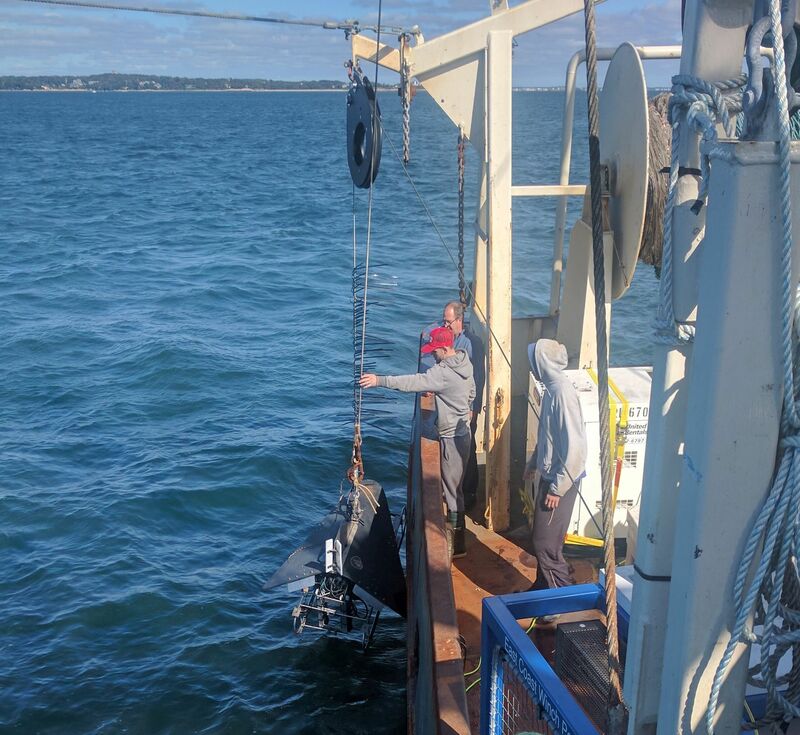 When underway and towing HabCam V5, we typically complete a vertical profile to the surface every km or every hour to provide water column data along with data in the benthic boundary layer.